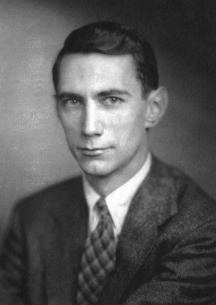 IEEE Claude Shannon Documentary Fund Donation Page - IEEE Foundation, Inc.
Claude Shannon's impact on the technology that shapes our lives was essentially unparalleled. Yet his name is known by very few and his legacy understood by even fewer. The IEEE Information Theory Society is working to change that. Your donation to the IEEE Information Theory Society's Shannon Documentary will help us to create a documentary about Shannon's life and work and its continuing impact on our world. Please help us make this long overdue tribute a reality. Thank you for supporting the IEEE Claude E. Shannon's 100th Birthday Celebration Fund of the IEEE Foundation. Donors will be recognized in the print and electronic IEEE Foundation Honor Roll of Donors if they contribute $100 or more, unless they wish to make their donation anonymously.